An avid sports fan, the president told ESPN's Colin Cowherd on Friday that he spends many mornings watching the sports channel. During an interview Friday with ESPN's popular radio show "The Herd with Colin Cowherd," the president said that most of his mornings started with the Worldwide Leader in Sports. 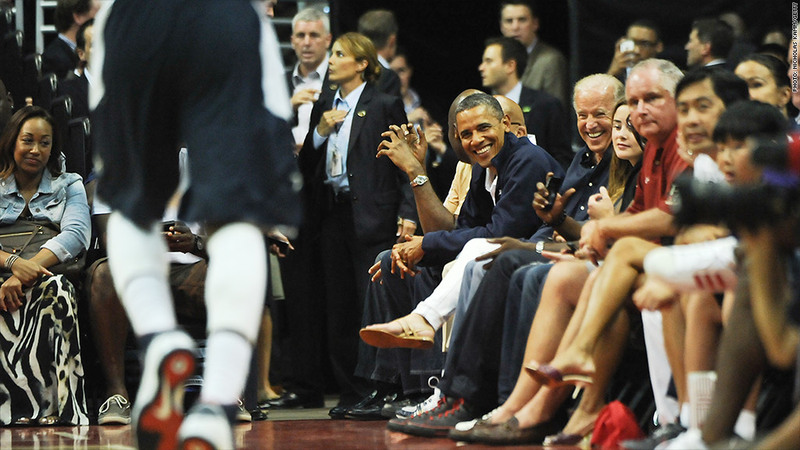 "I spend most of my time watching ESPN in the morning," President Obama said. "I get so much politics I don't want to be inundated with a bunch of chatter about politics during the day." The president explained that watching ESPN's "Sportscenter" while working out in the morning gave him a pretty good sense of the sports world because he doesn't really have time to sit down and watch entire games. However, he said that he's sometimes able to watch major championships like the Super Bowl or the World Series. Cowherd also asked the president if he thought social media had become too nasty towards professional athletes and even world leaders like himself. "Social media does have this ability to channel people's rage and frustration and sometimes nastiness in ways that polarize society," the president replied. "The one difference is that, in politics, sometimes people forget, we're actually all on the same team, and that's the American team." The conversation with ESPN came at the end of a week that began with the president taking over Stephen Colbert's anchor chair on "The Colbert Report." You can listen to the whole ESPN interview here.